I was an avid user of Spaces in Snow Leopard. I had nine Spaces on my Mac Pro, and four on my MacBook Pro which doubled to eight when connected to a secondary monitor. When Mac OS X Lion first came out, transitioning from Spaces to Mission Control was a big change for me. If you’re looking to take some control back from Mission Control in order to make things feel a little more like how they were before, here are some things to try. Not being able to drag and drop the order of the desktops and full-screen applications in Mission Control is one of its most annoying traits. By default, Mission Control changes the order of desktops based on which was most recently used. When the order of things keeps changing based on what application I most recently used, I find myself visually searching for where I want to navigate to when I call up Mission Control. I would rather this screen remain constant, so that I can quickly navigate without having to do a visual assessment first. Enable “Automatically rearrange spaces based on most recent use” in Mission Control’s System Preferences (yes, turn it back on). Use the keyboard shortcut task switcher Command + Tab to set the order of most recently used the way you want it to be. Disable “Automatically rearrange spaces based on most recent use” in Mission Control’s System Preferences. Switch to the desktop you want the application ‘pinned’ to. Click and hold on the application icon on the Dock. Pin System Preferences to all desktops by selecting “All Desktops” from the “Assign To” list in the Dock (see above). Switch to each desktop individually. Set the background under System Preferences, Desktop & Screen Savers. From within System Preferences, select Keyboard and go to Keyboard Shortcuts. Under Mission Control, enable the keyboard shortcut for each desktop you want it to apply to. Hopefully this helps you take back some of the more fine-grained control that Mission Control, ironically, seems to have decided to hide or relocate. Any other tips for making Mission Control more manageable? n’thing “bring the grid back” I use muscle memory to switch from my IDE to different browsers. Having a 2nd dimension makes those transitions quicker. Bring the grid back! I hate mission control. Like so many others I used the rows for multiple projects. I CANT SEE what is in each desktop now, OR more things around in easily. What a blow my ability to function at the computer. I agree with HJ that grids ought to be returned. I used them to organize my spaces in ways that the linear organization of Mission Control doesn’t offer. Also, the thumbnail image of the spaces tiled at the top are too small. You can’t easily discern what is in them. The tiles magnify, but too little. They should magnify so you can see the individual windows in them and even be able to select individual windows. Finally, reordering spaces by dragging tiles ought to be possible. That’s the Mac way after all. I agree wholeheartedly about bringing back the grid layout. I have the hot corners mapped to spaces (now mission control) so with a simple cursor movement I’m in mission control and easily select which desktop. I use 12, each with a different app assigned. With the grid layout, you could easily switch spaces and even drag and drop windows from one desktop to another. Everyone, please submit request for the grid layout to apple. I wish there were a way when switching windows of an application that has windows in multiple spaces to have it automatically switch to the space containing the window. How do you get access to the menu items when inside a space? For example, I put Excel is a sep space but need access to the menu which is only on space 1. Thoughts? 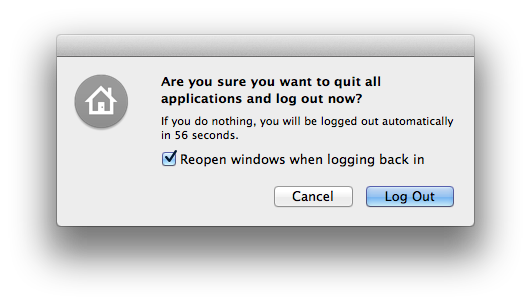 Lion introduced one huge timesaver — Reopen Windows when Logging Back In. But is there a way to return to the grid layout of Spaces (3×3, 4×4, etc)? If not, Apple should it bring it back — make it an option. When I’m working on several projects simultaneously (who isn’t these days? ), I would use each row of Spaces for one project (separate Spaces for the project’s Word files, PDFs, Safari browsers, spreadsheets, etc). Hopefully Apple is working on this. Thanks for posting this article, its quite helpful. For those who also have a Mac Pro with dual displays (and are contemplating a MacBook), is four spaces (per display) pretty much the magic number you have found to be optimal? If so, would you change this on a MacBook Pro based on its screen size (17″, 15″, 13″)? What about the little powerhouse 11″ MacBook Air and spaces? Also, is there any way in Lion to sync spaces (between Mac Pro and MacBook) so its easy to take the MacBook on the road and resume from where you left off on the Mac Pro tower and visa versa?